Thanks to the decades-long passion of an intrepid southern collector, you can own a historic vintage siliver coin that's never before been available in quantities large enough to offer our customers-until now! We have what could be the largest hoard of 1925 Civil War Commemorative Half Dollars ever assembled-the very first silver U.S. 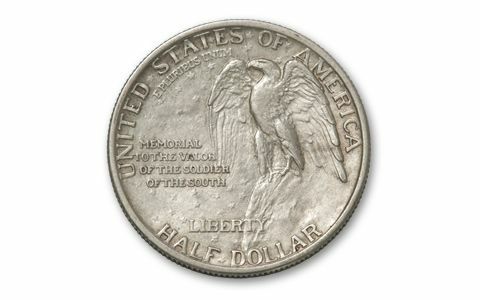 Coin to commemorate the War Between the States! 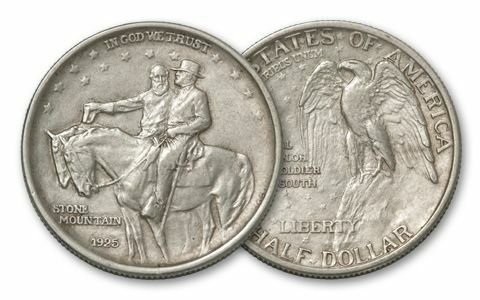 These hard-to-find, high-demand coins capture legendary generals Stonewall Jackson and Robert E. Lee in the stunning detail of 90% silver. 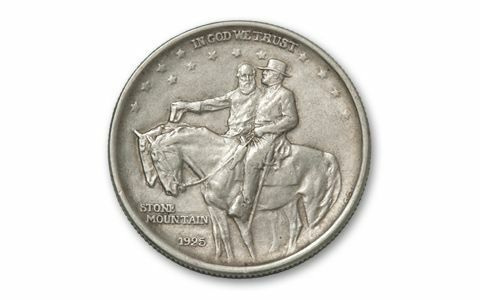 They were minted to raise money for the Stone Mountain Civil War memorial near Atlanta, where the image on this coin is now carved in bas relief. Each coin is a work of art.